December 14 is the 348th day of the year(349th in leap years) in the Gregorian calendar.There are 17 days remaining until the end of the year. 1964 – American Civil Rights Movement: Heart of Atlanta Motel v. United States : The Supreme Court of the United States rules that Congress can use the Constitution's Commerce Clause to fight discrimination. 1981 – Arab–Israeli conflict: Israel's Knesset ratifies the Golan Heights Law , extending Israeli law to the occupied Golan Heights. Year 557 (DLVII) was a common year starting on Monday of the Julian calendar. The denomination 557 for this year has been used since the early medieval period, when the Anno Domini calendar era became the prevalent method in Europe for naming years. The 557 Constantinople earthquake took place on the night of December 14. 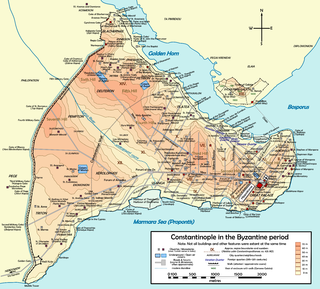 This earthquake, described in the works of Agathias, John Malalas, and Theophanes the Confessor, caused great damage to Constantinople, then capital of the Byzantine Empire in a region frequently afflicted with earthquakes. More minor quakes had preceded the large event, including two in April and October respectively. The main quake in December was of unparalleled ferocity, and "almost completely razed" the city. It caused damage to the Hagia Sophia which contributed to the collapse of its dome the next year, as well as damaging the walls of Constantinople to the extent that Hun invaders were able to penetrate it with ease the following season. Year in topic Year 1009 (MIX) was a common year starting on Saturday of the Julian calendar. Emperor Go-Suzaku was the 69th emperor of Japan, according to the traditional order of succession. Year 1332 (MCCCXXXII) was a leap year starting on Wednesday of the Julian calendar. Xue Rengao (薛仁杲), also known as Xue Renguo (薛仁果), was an emperor of the short-lived state of Qin, established by his father Xue Ju at the end of the Chinese dynasty Sui Dynasty. Xue Rengao was regarded as a fierce general but overly cruel, and he was only emperor for three months before he was forced to surrender to the Tang Dynasty general Li Shimin and was executed. Year 704 (DCCIV) was a leap year starting on Tuesday of the Julian calendar. The denomination 704 for this year has been used since the early medieval period, when the Anno Domini calendar era became the prevalent method in Europe for naming years. Saint Nicasius or Nicaise of Rheims was a bishop of Rheims. He founded the first cathedral in Rheims and is the patron saint of smallpox victims. 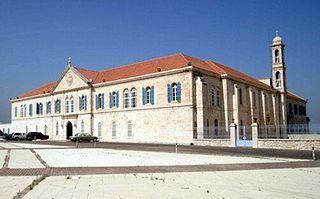 Saint Nimatullah Kassab O.L.M., also known as "Al-Hardini" in reference to his birth village, was a Lebanese monk, priest and scholar of the Maronite Church. He has been declared a saint by the Catholic Church. Saint Folcwin was a Frankish abbot, cleric and Bishop of Thérouanne. He was a contemporary of Notker of Liege. Saint Matronian (U.S.) was a hermit of Milan. It is recorded that Saint Ambrose enshrined Matronian's relics in the church of San Nazaro Maggiore in Milan. ↑ Vogel, Michelle (2012). Lupe Velez: The Life and Career of Hollywood's Mexican Spitfire. McFarland. p. 153. ISBN 0-7864-8997-9. Wikimedia Commons has media related to December 14 .